Posterior instrumented spinal fusion is indicated for progressive scoliosis that develops in Duchenne muscular dystrophy (DMD) patients. Whilst spinal fusion is known to improve quality of life, there is inconsistency amongst the literature regarding its specific effect on respiratory function. Our objective was to determine the effect of scoliosis correction by posterior spinal fusion on respiratory function in a large cohort of patients with DMD. Patients with DMD undergoing posterior spinal fusion were compared to patients with DMD not undergoing surgical intervention. 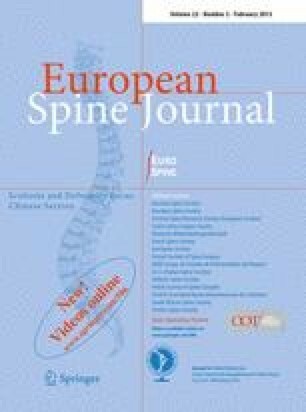 An observational study of 65 patients with DMD associated scoliosis, born between 1961 and 2001: 28 of which underwent correction of scoliosis via posterior spinal fusion (Surgical Group) and 37 of which did not undergo surgical intervention (Non-Surgical Group). Pulmonary function was assessed using traditional spirometry. Comparisons were made between groups at set times, and by way of rates of change over time. There was no correlation between the level of respiratory dysfunction and the severity of scoliosis (as measured by Cobb angle) for the whole cohort. The Surgical Group had significantly worse respiratory function at a comparable age pre-operatively compared to the Non-Surgical Group, as measured by per cent predicted forced vital capacity (p = 0.02) on spirometry. The rate of decline of forced vital capacity and per cent predicted forced vital capacity was not slowed following surgery compared to the non-operated cases. There was no significant difference in survival between the two groups. Severity of scoliosis was not a key determinant of respiratory dysfunction. Posterior spinal fusion did not reduce the rate of respiratory function decline. These two points suggest that intrinsic respiratory muscle weakness is the main determinant of decline in respiratory function in DMD. AJ Martin (Respiratory Physician, Women’s and Children’s Hospital, Adelaide, South Australia), The Department of Sleep Medicine (Women’s and Children’s Hospital, Adelaide, South Australia). None of the authors or their family members have received financial benefits from any commercial party for this manuscript.